Testimonials - GH Remodelers, Inc.
Quality of work is very good and got back to me in a few days with quote. GH Remodelers is a highly competent and professional organization. We could not be happier with the quality of work and fairness of price that we received with our new roof. GH Remodelers also added a two story addition to our existing home. Their craftmenship, project management and customer service are excellent. We could not be happier with the results of the project. Greg was great he had the roof done in a hour and even cleaned up all the shingles in the back yard. Had a roof leak, contractor was able to look at it the same day we noticed the leak. Had it repaired the following day. Greg was a true professional from start to finish, and made our bathroom remodeling project smooth and stress-free. We are more than pleased with the outstanding work, and could not be happier with the work that was done. 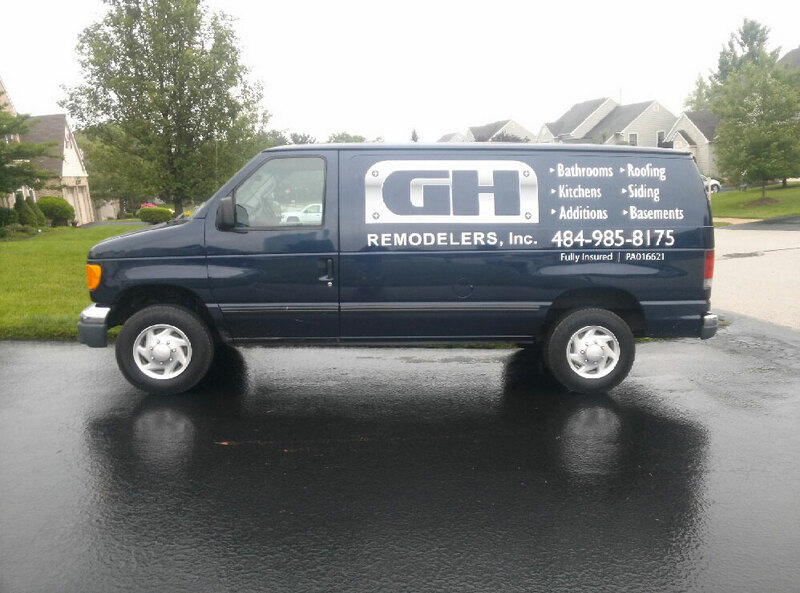 We would not hesitate to recommend GH Remodelers, Inc. to others looking for remodeling or renovation projects. I appreciated my small repair project was not overlooked and was completed the same day I called. GH Remodelers, Inc. responded quickly to my need for a proposal for the cost of a new roof. The decision of the new roof was a make it or break it deal for the sale of my property. His proposal was quick and reasonable and ultimately he was hired to do the job. Since the roof was installed after I moved out of the property, I can’t comment on anything else. Greg kept me informed of the changing weather and when that cleared he completed the work as planned in one day. The crew was consciencious and worked quickly and efficiently. Greg conducted all meetings and conversation in a professional manner. I recommend him and his team based on my experience thus far. Greg really listens to the customer and performs only what the customer asks for. I would definitely refer Greg to anyone. These men are courteous, on time and preformed above my expectations. GH Remodelers, Inc. did spectatular work on fixing my drywall, installing crown molding, replacing window sills, painting, etc. Their price was fair and I would recommend them for all general and specific construction needs. In addition the painter he used, Rob, did amazing work. Greg did a wonderful job on our basement. He’s thorough and helpful. He will work with you, (and the township) to get the job done on your timeline and tailored to your needs. I would highly recommend Greg, and I’m sure we will use him for additional projects. Very reliable, professional and quality craftsmanship. I would recommend very highly. They went above and beyond my expectations and met my budget and time frame as promised. This person was awesome. Yes, we will hire again.